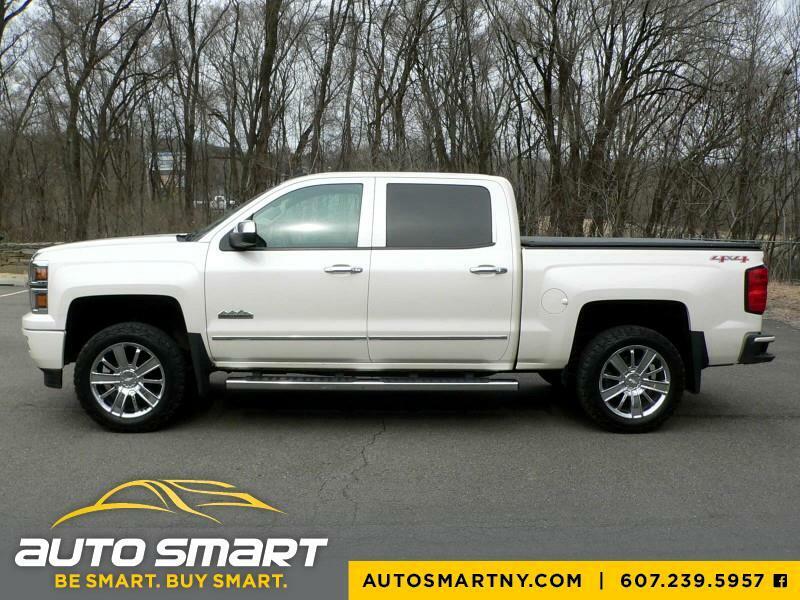 Looking for one of the sharpest trucks on the market made by General Motors? Well here you have it and it has a brand new spanking motor direct from GM! Check out this 2014 Chevrolet Silverado 1500 High Country with a 6.2L V8 and only 91,800 one owner miles! Pearl white with a cocoa leather interior and fully stuffed up with dual power heated / cooled leather seats, factory navigation, factory sunroof, premium sound with full media display and GM app suite, power pedals, factory tow group with integrated brake controller, rear camera with park assist, rear cargo lighting, premium running boards, premium chrome wheels, exterior chrome accents, roll-up tonneau cover and so much more! Professionally detailed inside and out! 100% non-smoker! Excellent brakes and rotors all the way around and very nice tires! Truck just had a brand new crate engine installed under factory warranty at GM less than 2K miles ago! This is just one nice truck and once you drive it you will simply fall in love! Read what others say about us on Facebook and take the trip to see us so you can win in a big way! "Be Smart -N- Buy Smart" at Auto Smart, LLC! All vehicles sold by Auto Smart, LLC come with a minimum 30 day / 1,000 miles warranty! We also sell the best extended warranties for exceptional prices! Please ask about our extended warranty products!